An installation of the OpenShift platform requires either Fedora or Red Hat Enterprise Linux (RHEL) as the underlying operating system. Ensure you have the installation media in one form or another available for either one of these operating systems. Next, perform the installation of VirtualBox. VirtualBox is supported on multiple platforms and can be downloaded from the following location . If necessary, consult the documentation if you run into any issues during the installation process. Once the installation is complete, launch the VirtualBox application. 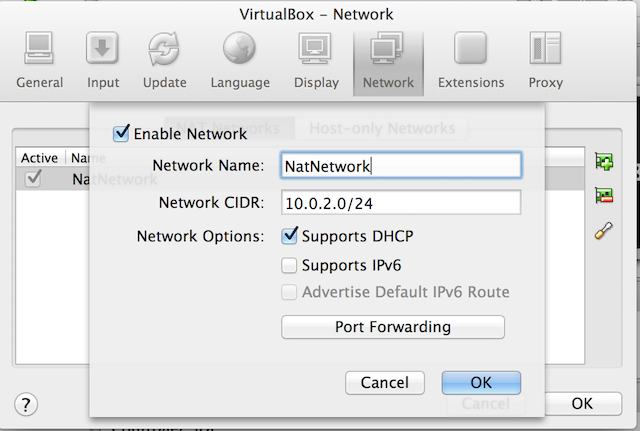 Prior to the creation of the virtual machines itself, common VirtualBox networking components must be configured first. The settings for NAT and host-only networking modes are found in the Networks tab in the Preferences menu. In the NAT Networks tab, ensure a network is defined. If one is not defined, select the “Add NAT Network” icon. The default network is called “NatNetwork” and contains the private network 10.0.2.0. The default configurations do not require any modifications. Next, select the Host-Only Network tab. Similar to prior step, make sure a network is defined. In the event the interface is not present, add an interface by selecting the “Add host-only network” icon. Inspect the properties for the host-only network by double clicking the default “vboxnet0” network. 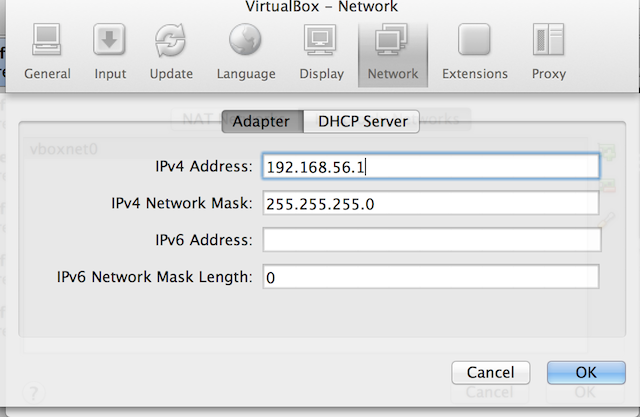 Verify the IPv4 address is set to 192.168.56.1 and the DHCP server is enabled on the DHCP Server tab. We will not be using DHCP to provide network addresses for our OpenShift machines, but it may be useful for other cases where you require host-only networking functionality and do not need to finely tune configurations. Click OK to save the configurations.